It is critical to check and fix SEO website issues today, before you can start planning for tomorrow. Does your website have hidden weaknesses you should be aware of? We evaluate your site, generate a report and recommend actions. Take the steps we provide you and apply them to your site. It will help your search engine performance, and will start generating more traffic. After the sign up process we will send you a welcome email and ask you to provide us with website URL. We will go to work and analyze your entire website. The report provides a review of the key factors that influence the SEO and usability of your website. 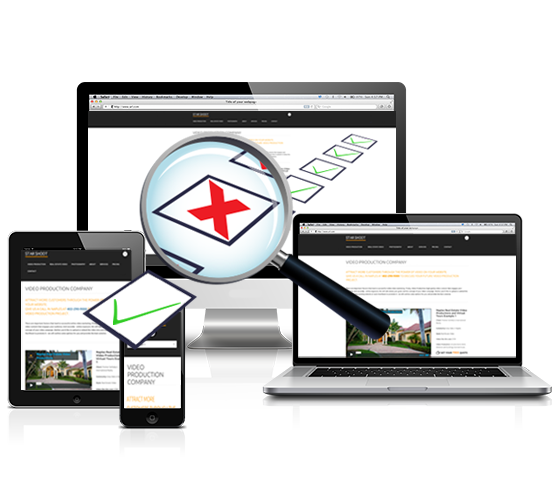 Once you receive your website checkup report we recommend to consult your SEO expert and implement the right steps. VuStudios also provides SEO services for companies that want to improve your rankings. Whether PPC or Organic Ranking – we are here to help.